To round off your river cruise on the Nile, discover a radically different Egypt. Head for the White Desert oases : a unique natural setting, encapsulating centuries of history and culture. 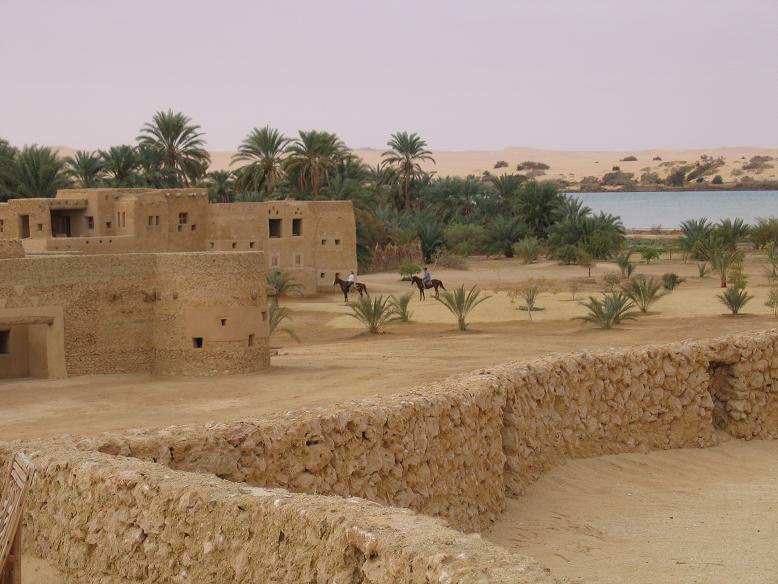 Siwa is the most isolated oasis in the Libyan Desert, 560 kms from Cairo, one of the world’s last-remaining pristine oases, home to spectacular green landscapes, traditional agriculture, and archetypal olive and palm groves. Egypt’s first eco-lodge is here : the Adrere Amellal, where simplicity and luxury are successfully combined. The great caravan road then leads to the Baharia oasis and its numerous historical sites. Then come Balat, Kharga and Bari, veritable cradles of Egyptian civilisation. And finally, the White Desert itself, guarded by its unique white limestone formations.